Be smart about using your cell phone abroad! There’s no better way to kill the travel high than to arrive home to a hefty cell phone bill. If you’re careful and plan ahead, your phone can be the most useful tool you take with you. Here’s what you can do to ensure you’re taking advantage of your phone internationally, without burning a hole in your pocket. 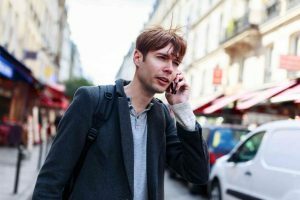 Some carriers offer phone plans that cover international calls, roaming fees, and data charges. For example, AT&T Passport can be purchased for 30 for $30 (rates vary) and provides coverage in more than 190 countries. This includes talk, text, and web browsing. Check with your phone company to see if they offer a similar international plan. If you would rather not risk the possibility of surprise charges on your current phone, you can rent or purchase one meant specifically for international travel. This is especially useful if you’re visiting more than one country on your visit because you’re going to want coverage wherever you go. The National Geographic Talk Abroad Travel Phone works in 200 different countries, and most U.S.- based mobile carriers offer similar rental programs. If your phone can operate on the Global System for Mobile communications (GSM), you’re in luck. Call your wireless company and ask to have it unlocked. Once your phone has been unlocked you’ll be able to access other mobile carrier networks around the world. The most cost effective of all of these options is to use your current phone when you have access to wifi. Turn off your data when you arrive so you won’t rack up roaming charges, then use all of your favorite apps when you have wifi. Hotels usually offer wifi, either for free or for at a daily rate and most public areas, such as the Tower of London and the Louvre, now offer wifi for their visitors. This entry was posted on Wednesday, March 22nd, 2017	at 12:19 pm	. You can follow any responses to this entry through the RSS 2.0	feed. Both comments and pings are currently closed.